A sampling of my editorial work. You can also download my full CV. Nadine Grzeskowiak is an ER nurse whose journey with celiac disease took her to hell and back. This is both a searing memoir and a self-help guide for anyone curious about celiac disease, the economics and politics of wheat and gluten, and the vital importance of taking charge of your own health. I copyedited all the print and digital content for Paleo Magazine, the first and only print magazine dedicated to the Paleo/Primal lifestyle, for two-plus years. In my previous life in market research and consulting, I was lead writer and editor of Horizon Scan Monthly, a newsletter on cutting-edge surgical technologies and trends sent to over 50,000 clinicians and hospital administrators around the country. Check out some sample issues here and here. I’m the editor and a lead writer at Thinkship, a blog of in-depth insights for ecommerce brands and agencies. 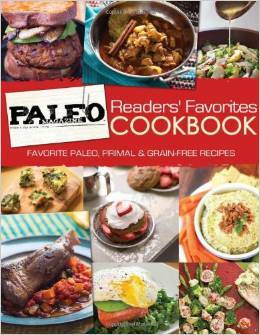 I copyedited the first three annual editions of the Paleo Magazine Readers’ Favorites Cookbook—2013, 2014, and 2015. Each one represents a different kind of cookbook—more of a culinary anthology—focused as much on community as it is on food.